If you ask a web designer, an internet marketer and a branding professional what hotel website strategy is, you will get 3 different answers! A Web Designer will tell you that website strategy is about colour, photography, graphics and layout. An Internet Marketer will say it is about keywords and SEO. A Branding consultant will tell it is about quality image and consistency. The Website Strategic Process is All About messaging! Getting the message right starts with a detailed analysis of your business, mission, competition and guests. You need to have a deep understanding of guests and be able to answer all the objections they may have in selecting your product. 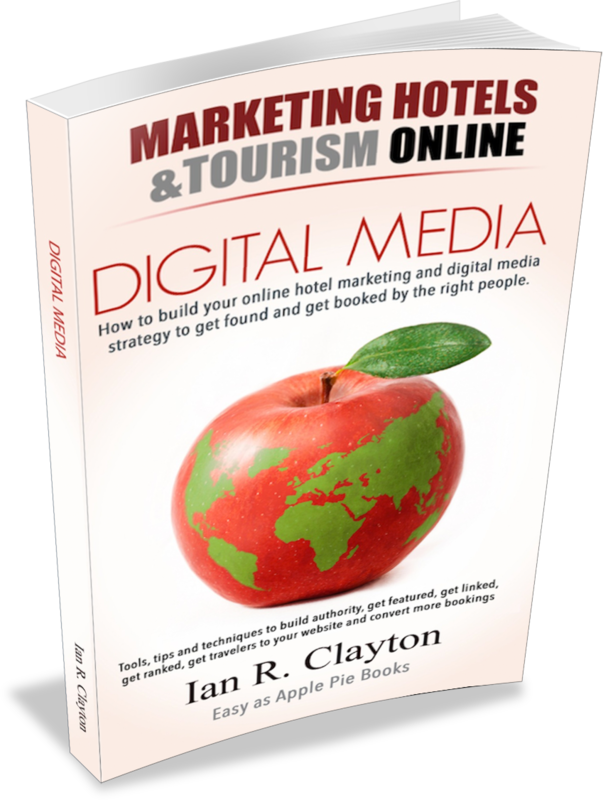 In Hospitality, small hotels are often at a disadvantage compared with the large Online Travel Agents (OTAs). They are well known, trusted and can outperform on many services points. OTAs outperform small independent hotels by offering loyalty points, great alternatives (your competition) and guarantees. With the contract they have with hotels they also call for RATE Parity which means you can’t compete with them and they can offer the Best Rate Guarantee. That’s a power incentive. Rate parity we will discuss later; it’s a sort of lie and you can get around it as we shall see. To overcome the perceived OTA benefits, small hotels need to build authority, trust and incentivize guests to book direct. Few hotels offer comparison shopping but that is one of the main reasons why travellers go to OTAs. Your guests will check out your rates and compare them with others. Why not help them by doing it for them? That is a messaging strategy that could work for you. But it is a lot of work and as rates change all over the net constantly, most hotels skip this. But you can create a page about alternatives. Show other places and point out how you compare in value, space, size, comfort, design and all the intangible things that travellers care about. That’s excellent messaging. Technology can also help you keep on top of rates. TripTease will check OTAs’ rates and show your advantage. 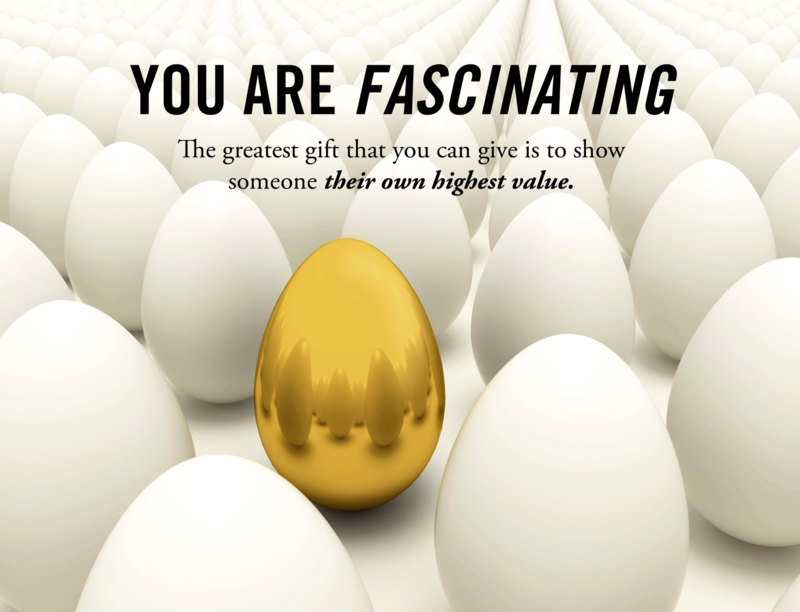 It builds trust to show what else is available and give practical examples of your own advantage. To build trust, you need excellent and consistent reviews as well as a strategy to get and strategically use them. There are solutions and strategies that will influence your score and tactics to share and market them effectively. We have our own solutions that animate reviews with video and distribute the video to clients’ sites and social networks. They can be syndicated to the internet. Other solutions, like TrustYou guest reviews, assist in the process of getting reviews from guests. There are systems that will capture reviews on your site and automatically forward the guest to your preferred review site only if the reviews are 4 or 5 star. To get guests to book direct, you have to offer what they get at OTAs (price, service and value) and offer more. You are the owner and you know your property and its benefits better that anyone. You also know your destination better that any OTA and letting your guests and prospects see you as a destination expert will go a long way to convincing them to book with you. The strategy that comes from this sort of thinking can be profoundly different from what you will get with a web designer, internet marketer and brand consultant. Look at what hotels around you are staying about themselves. It’s all pretty much the same: they are great for families, ideal for couples and fantastic for everyone in some form or other. These, sad to say, are platitudes and they don’t help you one bit. 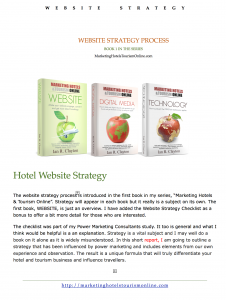 Avoiding platitudes and replacing them with real differentiators is one of the key points in the Website Strategies checklist. Building a strategy requires deep understanding of all of these variables. With skilful analysis the messaging system for your website will create a distinct personal advantage and a strategic message that will permeate throughout the website and offsite into your advertising and content marketing. It requires understanding your clients’ needs and your competition’s strengths and weaknesses as well as knowing your strengths and your reason why. The ‘why’ you are doing what you do is your mission and your passion. Most of us who are in hospitality are passionate about it and, for the most part, it has far more to do with caring and excelling at making guests feel wonderful than it is about making piles of money. Having a good return on your investment is essential for every business, of course, but in many cases it can be the only rational. That is hardly ever the case with hospitality; it is a very personal and passion-driven calling. Hospitality is a cultural experience. To most vacationers it is very personal and who you are, who they are and where they are going to stay is often as important as the beach, view, amenities and location. These are commodities and, like all commodities, they tend to be very similar from one place to the next. What is always unique is personality. Psychology plays a huge part in how people shop and buy and travel is no exception. Hoteliers are beginning to understand just how important this is. These systems try to match guests up with holiday experiences that fit their personality and mood. Personality branding is the new way that brands are looking to differentiate themselves. The leading personality branding expert is Sally Hogshead, an award-winning Brand Marketer and author who has founded a company based on building fascinating personality brands. This is now taking root with leading travel brands who are beginning to use Personality to differentiate their brands and fascinate travelers by aligning them with brand experiences based on who they are. Travel is personal and travellers like to know who their host is. Marriott and AccorHotels have recently started using personality assessment in their accommodation search. This idea was pioneered by our own RealHolidays matchmaker technology and is now in use at PersonaHolidays in Barbados. I believe that personality matching is going to be a huge disrupter in Travel. I see it augmenting and replacing conventional search by amenities. Amenities don’t match moods or personality and you cannot define a unique holiday experience with amenities and hotel features. Today’s travelers what something more. Personality matching is the new frontier in Travel Search and trip planning. Travellers want experiences so personality matching is key. You can start by doing the Personality Test by Sally Hogshead. Our team has a partnership with her company, HowtoFasciate, to bring branding and travel planning capability to travel and to bring personality branding to tourism. Find out more at info.Personaholidays.com. Personality-driven messaging is a very strategic imperative in Travel. Every piece of content on your website should be geared towards inspiring and engaging with your ideal guests. Once you have gone through the exercise of defining your hotel personality brand and understand who your ideal guests are, you can craft messages that will grab attention and inspire. In going through that process, you will develop your hot buttons, which are described in the first book, WEBSITE. You can think of them as buttons that shout out what visitors what to hear and see and where you want them to go next. They are you message activators. Messaging takes the form of banners, headers, images, video and content using hot buttons and a call to action. You main message can be crafted into enticing hot buttons that acknowledge objections, show the emotional, physical and psychological benefits and some comparisons. These are the 3 most important criteria for the majority of vacationers. Objections, Benefits and Comparisons should be hot buttons on every page driving people to action – to get more information, save it for later, get a quote and book now. Comparisons and Guarantees (one of the most popular pages)All of these are echoing the message in the video above. The video is short and its message is: “Your Own Unforgettable Caribbean Resort Villa Holiday”. Strategic messaging embraces and builds on core concepts. The front banner video is echoed in the 3 buttons. Each button is then linked to a page that echoes the button’s message. The page header also echoes and enhances the message. If there are hot buttons on this page, they will follow the same strategy. This is strategic messaging. On the ‘Compare’ hot button page, we don’t actually compare to other hotels but that page leads to holiday accommodation pages that do make comparisons. This is helpful to those in the early stage of shopping who need advice on what’s available in the destination. For example, there is a St. Lucia Villa Holidays page that reviews the pros and cons of different types of villa accommodation and shows examples of the alternatives. It also says what Poinsettia Villa is not. Stating ‘what we are not’ is a good way to avoid disappointing guests and build trust. Every page can have a strategic message and hot buttons that lead to more strategic pages with hot buttons. That way you start to build a set of content that is geared towards specific messages and attracts and inspires the right traveller. The other thing we need to know about strategy is that it is not the same as it was before. The internet has ushered in the digital age of exponential innovation and technology. It has only just begun. We are on the threshold of technology that does more that we ever imagined. Things change and the pace of change is accelerating. In the not too distant future, online and offline will all be digital, innovative and dynamic. To win one must be able to integrate old and new to create sustainable competitive advantages, personalisation and the values that go with it.